The Beethoven Moonlight Sonata is one of the most well-known pieces of classical music in the world. Deep, gloomy, and ferocious, the sonata is testament to Beethoven's genius. 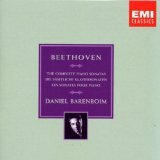 It's one of my favorites of all Beethoven's piano sonatas. There is a reason why it's so famous, and that's because it sounds like a profound meditation of the soul. It captures listener's imaginations like few other pieces of music! The legend is that Beethoven was first inspired to write his moonlight sonata whilst visiting a lake in Hungary. 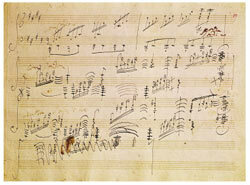 He penned it in 1801, the second of two sonatas under the work number Opus 27. There's a rumor that the musical master dedicated it to a 17-year-old countess, one of his piano pupils, with whom he was infatuated. Beethoven frequently pined after unattainable women, which is unfortunate for him but great for us since it inspired so much music! The Moonlight is Beethoven's 14th sonata. Actually, the famously poetic Moonlight title only came about 5 years after Beethoven died. In 1832 the imaginative music critic Ludwig Rellstab thought that the piece reminded him of the moon's reflection on Lake Luzern (in Switzerland). The name stuck! Like all piano sonatas, the Beethoven Moonlight Sonata is split into three movements. The first, in the mysterious key of C-sharp minor, is of course the most famous. Beethoven seemed to have a little obsession with C-sharp minor. a surprising amount of his famous, powerful dark music is in this key which suggests that it may have had some kind of special significance for him. He gave it the subtitle Quasi una Fantasia ("almost a fantasy"), since it sort of steps all over traditional sonata form. I suppose Beethoven wanted to cover his tracks a bit! The first movement has stayed ridiculously popular through the centuries. Audiences were even falling in love with it all the back in Beethoven's day. Like many composers who strike fame, he became confused and annoyed by the piece's popularity. 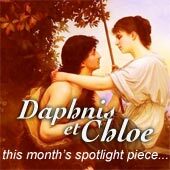 Click to read about Beethoven's other famous music. Adagio sostenuto (slow and sustained). The mournful, profound first movement is definitely the most widely known. In structure it's almost like a mini-sonata itself, since it has a melody, a development of said melody, then plays it once more (perhaps for good measure). Allegreto (a little quickly). A scherzo (humorous and fast). This movement is very short, and somewhat bland. But the mood is very light-hearted and innocent, contrasting nicely with the other movements. The hungarian piano-god Franz Liszt described it nicely as "a flower between two chasms". Presto agitato (fast, agitated). Like the tempo suggests, this furious movement blazes all over the keyboard. It's Beethoven at his most forceful and ferocious. 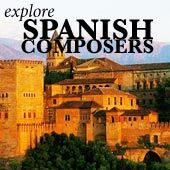 My recommendation would be either Daniel Barenboim or Claudio Arrau's recordings. With the Beethoven Moonlight Sonata, I think the closer the performance is to the original score, the better. 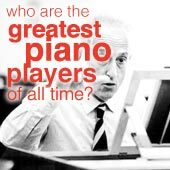 Most pianists play either slightly too fast, or too slow, and with the wrong kind of rhythm for the piece; Barenboim gets it just right. Also, since the piece is a gloomy and introspective one, personally I'd like a performer who has the maturity and sophistication to bring the emotions out fully. I hope you've enjoyed this little exploration of the Beethoven Moonlight Sonata!